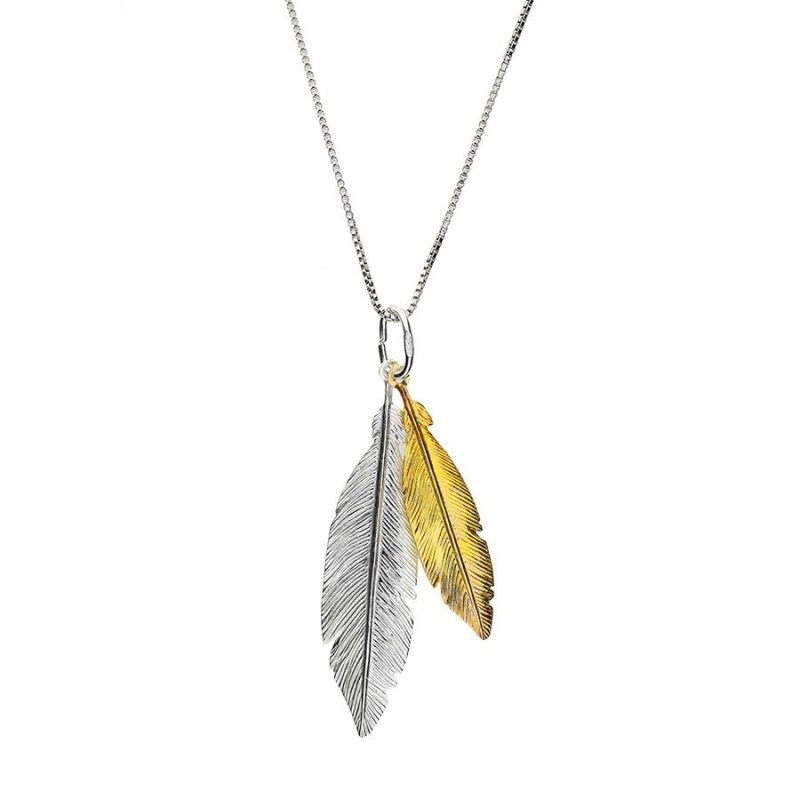 Azendi Gold and Silver Twin Feather Pendant. Made from sterling silver and vermeil gold platting, two intricately detailed feathers dangle gently from a silver hoop and chain. A beautiful pendant from their Spirited Away collection, designed to glimmer as they move.